When Harry Hepcat's mother was told she was carrying a boy child inside of her, it wasn't the best of times. The family was living in Columbia, South Carolina and World War II was raging. The boy soon saw his father in uniform. Eventually he was sent off to fight in Europe and never returned. Harry grew up with a taste for music. His grandfather had played trumpet in a band and Mother Hepcat studied tap dancing in the hope of joining a chorus line. It was from her singing around the house and her 78rpm records that the boy first discovered the world of music. Before there was rock & roll, Harry became fascinated with the guitar through the work of Les Paul. "I really dug his sound and his records. I would never miss his fifteen minute TV show that was on in the early fifties". By 1955, Harry "got the rock & roll bug". His first guitar came in early 1956. By 1958, Harry Hepcat was already performing with bands and recording. Evolving with the music current in the 1960s, Harry always included fifties material in his act. 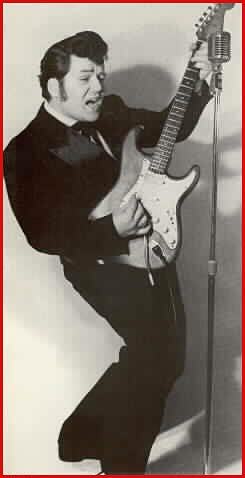 In 1967, he decided to devote himself solely to fifties rock and roll. He's been recording and performing ever since. Harry Hepcat performed for the original Broadway cast of "Grease". The fifties actors stated, "Hepcat's great! He's New York's best kept secret. We only act it; it's such a pleasure to hear the real thing". Here then is the real thing, from fifties rock-a-billy classics to original Hepcat compositions like, "Sunrise Special", a tribute to the rise of Sun records and its artists. 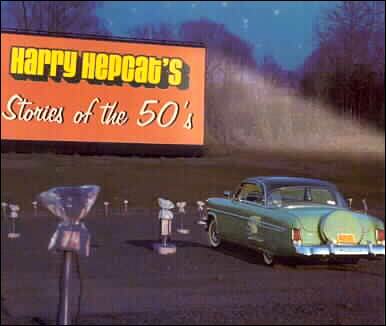 Bill Nolan, Connecticut disc jockey and founder of the Rhythm and Blues/Rock & Roll Society, said it all, "Jerry Lee Lewis couldn't do "Great Balls of Fire" better than Harry Hepcat ... Harry Hepcat isn't an imitator, he is an original rock and roller from the 1950s. Harry is featured on the Rockabilly Hall of Fame's Volume #1 CD! for a free autographed copy of this fan club card. U.S.A residents please send a self addressed stamped envelope.